In our Gem Mine you can find Ruby, Sapphire, Garnet, Amethyst, Citrine, Moonstone, Topaz, Smoky Quartz, Rose Quartz, Quartz Crystals and more! All equipment is provided and we help beginners. 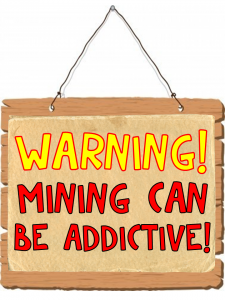 You dig your own dirt in our mining tunnel and wash the dirt away in our covered flume. Mine rain or shine. 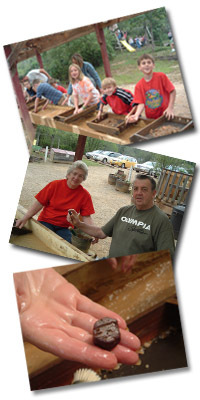 Mining is a great field trip for church groups, scout troops, senior citizen groups and others. We have an educational program that will fit your needs. Scouts can work on their geology achievements and badges. 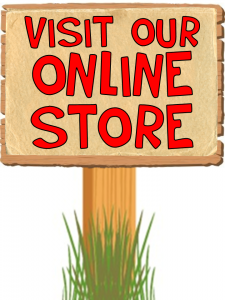 We have a terrific rock and gift shop with lots of good gems and minerals to round out your collection. 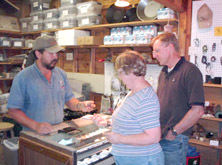 We carry ornamental pieces and lapidary supplies. We also have a covered picnic area and a small playground for the pebble pups. Gem Dirt to Go is also available. Wow! Love this place! Next time !!! Oh girl I’m ready to go now!!!! Nice one! Looking forward to coming soon. Water has got to be cold 🥶 right now! I'm glad to hear you've opened for the season! Can't wait to swing in and get the hands dirty! going to try to get down this year missed being down there last year first time we have missed in a long time . My 8 year old son still talks about our trip and he wants to get a barrel next time we are there. Opening tomorrow for the season. Keep watch for opening delays or closings due to cold weather. Otherwise, we're opening everyday but Wednesday and Sundays! I hope you have a great season. We are going to try to come down. I hope it is the best season yet! We will be there in July for our yearly vacation. The kids think it’s the best part of the trip. Wow winter has flown by. Luke Tompary I still want to take Joslyn here!